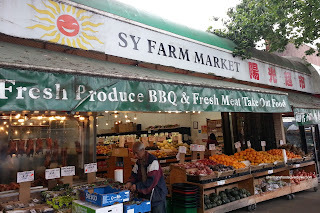 After a hiatus in my goal to try all the Chinese BBQ joints in the Lower Mainland, I made an impromptu stop at SY Farm Market on Hastings. When I say impromptu, I really mean it as in "make a last minute lane change and turn onto a side street". No, I didn't cause an accident nor cut-off anyone in the process. Now on the other hand, next time I'm in Richmond, I will do the opposite because when in Rome... Now back to the Chinese BBQ, the random stop was because I didn't have anything to cook for dinner and this was the best way to make it simple. 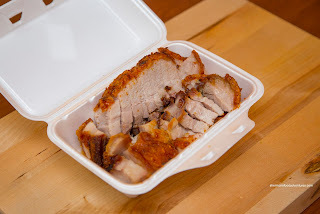 I picked up some BBQ Pork which was mostly lean with some fatty portions. I found the meat to be slightly dry due to the cut of meat. It was still sufficiently tender though. Unlike the one found at HK BBQ Master (which I always use as a baseline comparison), this one was not charred enough nor was balanced in flavour. It was more salty than sweet. 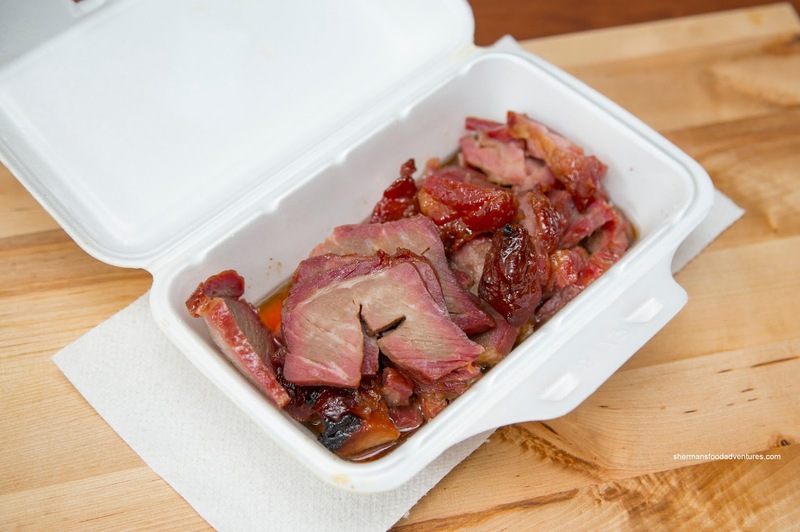 Overall, a serviceable portion of BBQ Pork, but not memorable. 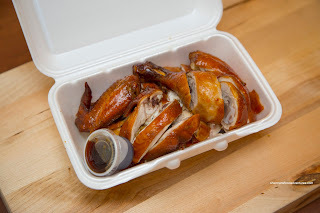 I also got half a Soy Sauce Chicken and it was fantastic. The skin was in a beautiful dark soy hue while the meat was moist and juicy (even the white meat). I found that the soy cooking liquid had penetrated the meat, hence, it was flavourful on its own. The size of the chicken was rather substantial as well. 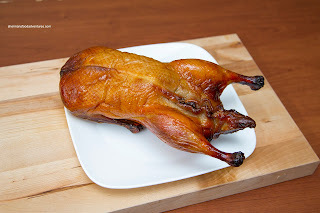 Since I was going to use a portion of the BBQ Duck for stir-fried noodles, I decided to get a whole one. The skin was nicely rendered and crispy while sporting a decent roasted hue. Both the breast and thigh meat were succulent and well-seasoned. Furthermore, I found that the duck was quite meaty since there was a substantial amount of meat after deboning. On another visit, I picked up the soy chicken again and also the Roast Pork. The meat was a tad on the drier side while being pretty salty. The crackling was decent being a firm crunch. So after trying out the main proteins, I will definitely come back for the soy sauce chicken and BBQ duck. Not so sure with the BBQ pork or roast pork though.